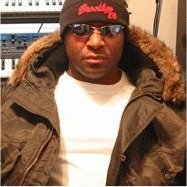 It was while studying at the Center for Creative Studies that Deason first began working on sleeve-design for records by Juan Atkins, Derrick May, Kenny Larkin and A Guy Called Gerald, including labels like Generator, Acacia and Carl Craig's RetroActive. After being introduced to the basics of sequencing and drum-machine programming by Kenny Larkin and Dan Bell, Deason recorded his first EP, Code 3's "Cyclops," at K Hand's Acacia studios; the record earned airplay on local radio by another friend, Alan Oldham (aka DJ T1000). Deason also worked at Richie Hawtin's Plus 8 studios before forming his own Matrix Records label. The label's early releases included singles by the Deason projects Freq and Sounds Intangible Nature as well as the mini-album compilation Digital Sects (featuring Larkin, Oldham and Claude Young among others). Signed to Studio K7, Deason released his first solo album Razorback in 1996. One year later, Deason released the Freq LP Heaven through Britain's Distance Records. In mid-2000, his new full-length Allegory & Metaphor earned comparisons to the likes of Detroit Escalator Company's Soundtrack 313 for its ability to capture the atmospheric feeling of a city (namely, Detroit) in sound. 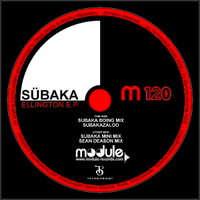 And available now on Module Records, the Ellington E.P (m120) by Sübaka, with a great remix of the genius Sean Deason !!! If you have a moment, please visit my toy shoppe pet toys site. I have a toy pet train site. Great piece of blogging. Glad I accidently found your blog. I would love you to visit this site self-hypnosis and tell me what you think. Blog is really informative! Looks like somebody did a good research. Keep up the good work! Always have has informed of the latest in any fields of life. If you have a moment, please make a visit to my car insurance ireland site. If you have a moment, please make a visit to my auto insurance Oregon site. If you have a moment, please make a visit to my auto insurance Vermont site. If you have a moment, please visit my auto insurance Ohio site. If you have a moment, please take a look at my motor insurance Colorado site. If you have a moment, please take a look at my motor insurance Ohio site. If you have a moment, please visit my motor insurance Ohio site. If you have a moment, please take a look at my home insurance New Hampshire site. If you have a moment, please visit my mortgage loan North Carolina site. I have a car reviews Massachusetts site. If you have a moment, please visit my auto classifieds Minnesota site. If you have a moment, please visit my auto classifieds Missouri site. If you have a moment, please take a look at my auto classifieds North Dakota site. If you have a moment, please make a visit to my car loans West Virginia site. I have a motorcycle insurance Colorado site. Very informative blog with some excellent articles, you are providing a great resource and I am sure many readers will return and stay up to date with all the latest news. If you get the chance, please stop by check out my car insurance blog. I like your blog about payday loan online.